Jaime a.k.a. Lazy has been professionally tattooing for about 16 years and original founder of Untouchable Tattoo. He originally started in prison where he learned with a homemade tattoo machine gun. 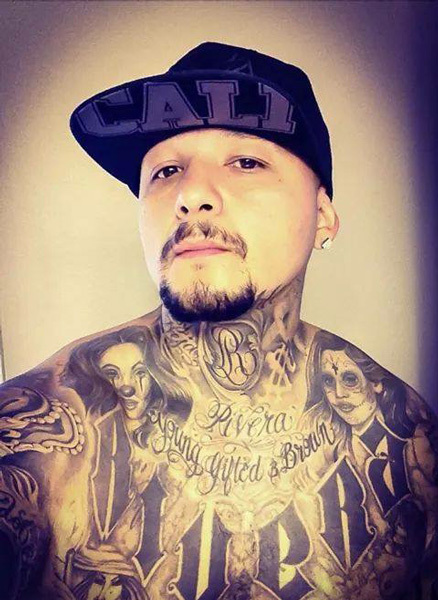 He started off wanting to get tattooed, which moved into him trying to practice on himself then as well as his cell mate while he was incarcerated in Chino YTS. Tattooing for some is beyond just the art, Jaime says, “I haven’t always been an artist but I always had a desire to tattoo. By being in the business and having to manage myself at times has taught a lot of other things besides just tattooing. It has also taught me how to be a good listener, how to be patient, how to communicate with others outside of my own race. Jaime will be soon starting at a shop in West Covina called Living Dreams Tattoo Shop. You can contact him on multiple social media accounts; FB is Jaime morales, e-mail at lazyr13@yahoo.com, Instagram is Mister_Untouchable and Snapchat is untouchable_lazy.